Inktober is an artist challenge that runs the entire month of October and consists of various prompt lists that assign a prompt to each day of the month. Artists are encouraged to use paints, markers and most importantly --inks-- to create pieces throughout the month. 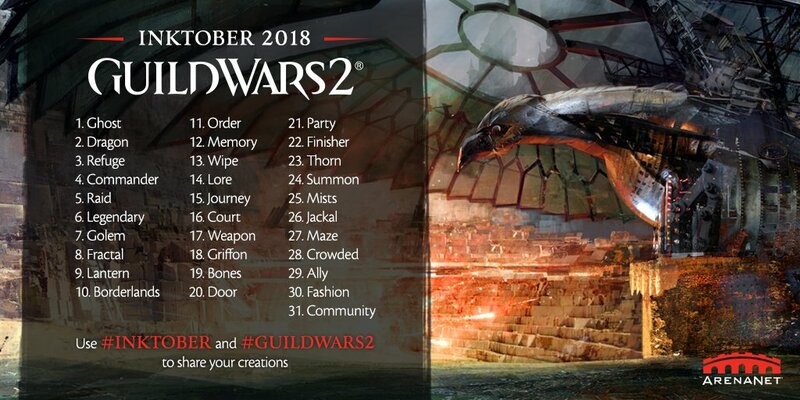 Guild Wars 2 has released their own inktober list this year. You can check it out below! What is the guild about? A few years ago I loved to put together community art events and I really miss connecting with everyone and getting opportunities to freehand characters. I would often stand idle at Ministry WP in Divinity and take screens of other idle characters, compiling them into a file to draw later. I regretted not having the opportunity to share my art with the people I drew afterwards and wished I kept better track of who I was drawing. 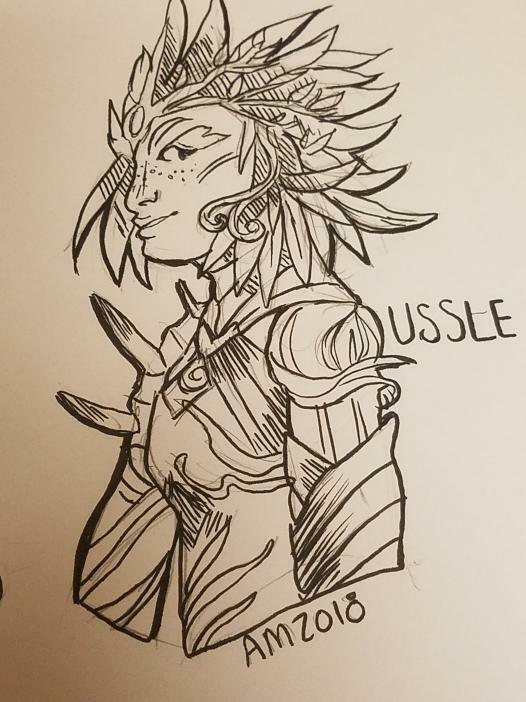 Inktober is the perfect opportunity to work on improvement and draw things I love! Which is other peoples characters! Why hoard this beautiful unclaimed guild name to myself you might ask? I won't! 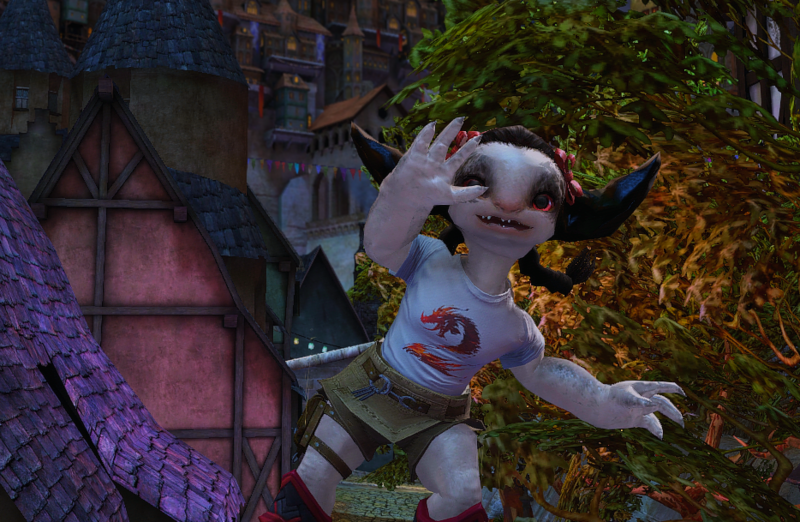 I have created Innkii, the ever so talented and friendly asura artist! She's eager to get to know your characters and immortalize them forever in her drawing tablet! Innkii will be traveling to all the major racial cities looking for willing subjects! She's very timid, and will often contact other characters via whisper to interact. Innkii will always ask for permission because she likes to give her subjects digital copies of her work when she's finished! All of her copies will be compiled in this thread for your viewing pleasure as well! -Artists always ask for permission via whisper first. -Artists have a great deal of creative liberty but please don't abuse that by drawing strangers nsfw. That's weird man. -I'm going to be following a strict no harassment policy. Artists in violation of this will be kicked. Subjects in violation of this will be blacklisted. -Subjects, please do not whisper or solicit myself or any artists repping for art if we are not actively engaging you. You will most likely be ignored and it's rude. Artists Optional: Tagging your subject posts here. The point of this initiative is to work on self improvement while also giving back. But no hard feelings if you can't get in contact with the person you drew before! 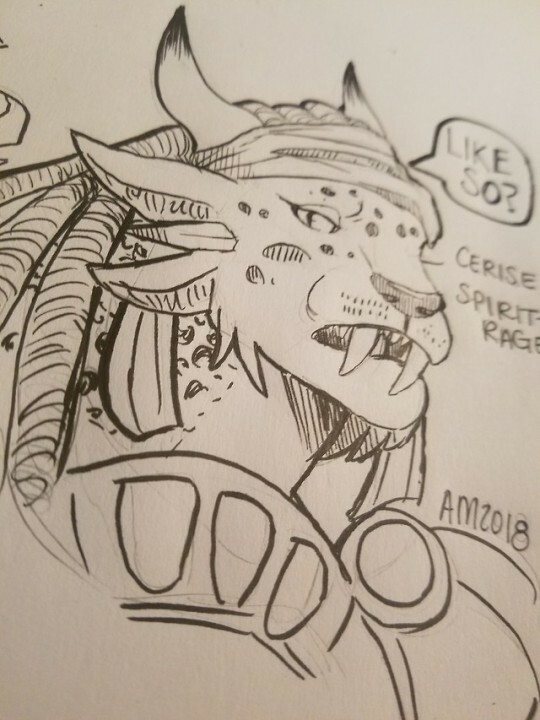 Do you have a character that likes to draw? Do you like to draw? 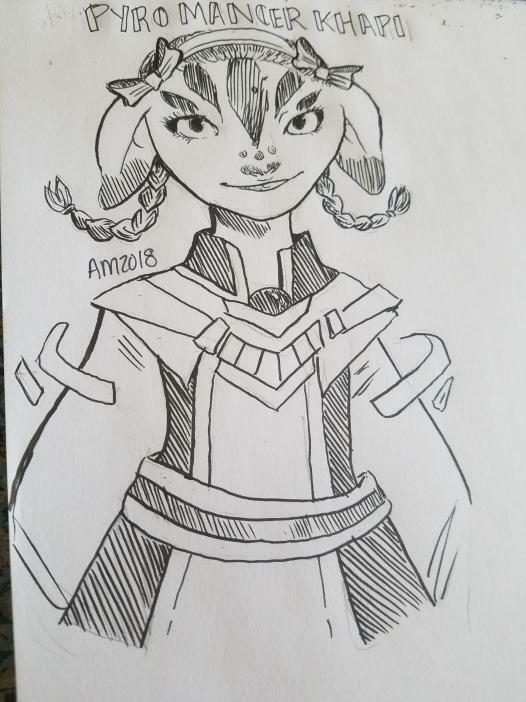 Do you want to make a character that you will probably delete at the end of the month like me so you have an excuse to draw? Then this guild is for you! Poke me via enjinn, PMs in game, or whispers @ FreeePoint.7632 for a guild invite! 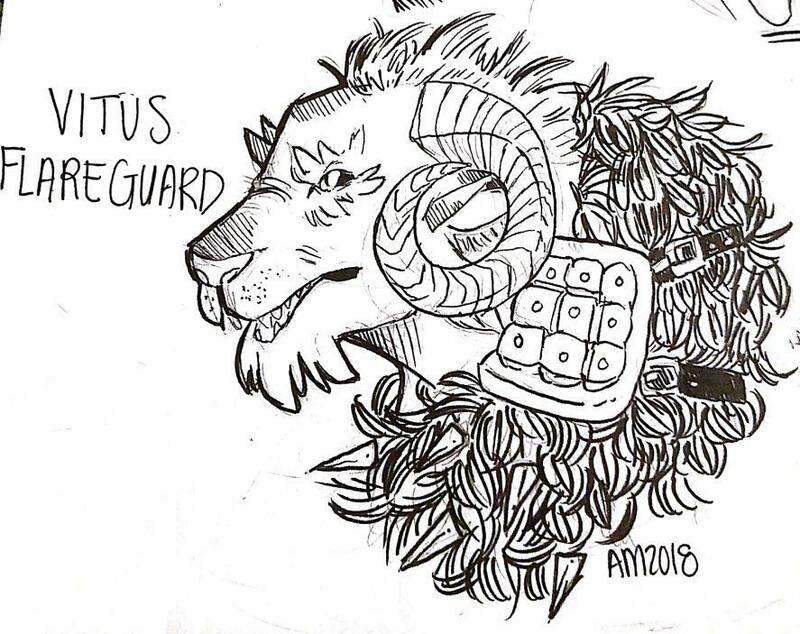 There are no rep requirements, and you are free to post all your inktober work to this thread as well! I'ma just pop in here, this is an adorable concept and genuinely positive to see. Good luck to participants, I know a lot of artisty folks and it's a real challenge, so effort is commendable! Thanks Ussle for humoring me with some late night roleplay! Your character is very pretty! I might go back through later and add some red and purples in there! Thanks for showing Innkii all your wonderful outfits! Heeey, this is pretty neat. Unfortunately, the idea dawned on me at exactly 12:01am October 2nd. Terrible timing on my part, otherwise I would have tried to shoot for an earlier announcement and better organization. Feel free to post anything you do here so others can appreciate your work! Skarphedinn 's Vitus Flareguard! Thanks for modeling for me at Ministry (even though I didn't ask ic)!